RemGrit® Carbide Grit Reciprocating Saw Blade cut extremely hard abrasive materials. The cutting edge of tungsten carbide particles is permanently bonded to an alloy steel back. This blade cuts what other blades can’t. Reciprocating saw blade cuts extremely hard abrasive materials. High heat and abrasion resistance. No teeth to dull or chip. Blades cut on both strikes. 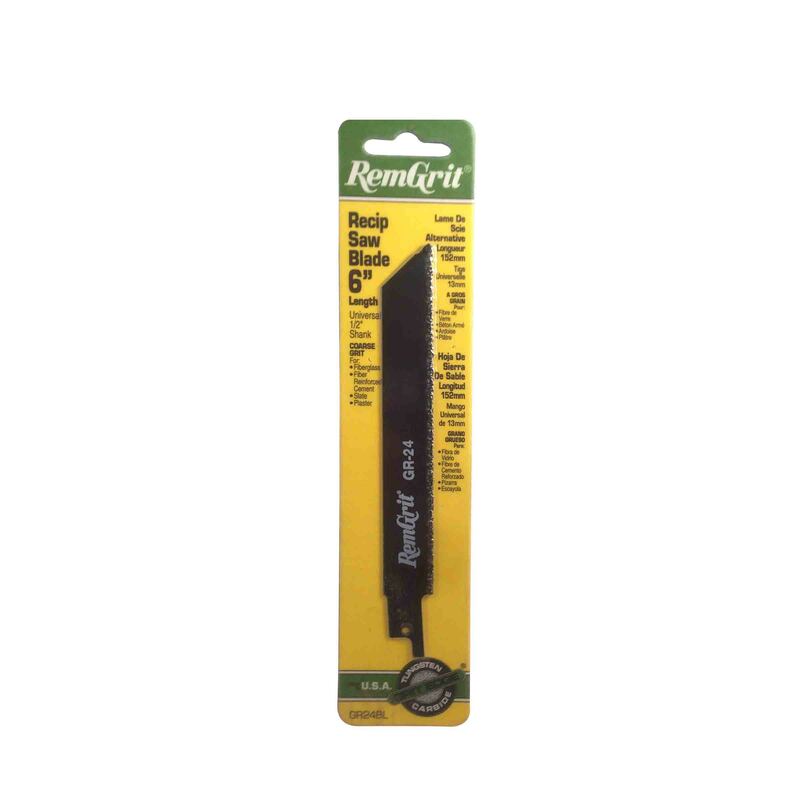 Resists snagging and are always smooth cutters. Use for fiber glass, fiber reinforced cement, slate and plaster. View all Disston reciprocating saw blades HERE. Specialty cutting applications require a specially designed product. The tungsten carbide Grit-Edge on each RemGrit product equips it to handle the toughest materials, from ceramic tile to marble and glass. Thousands of carbide particles are permanently bonded to the cutting edge precisely for specific cutting and drilling needs. 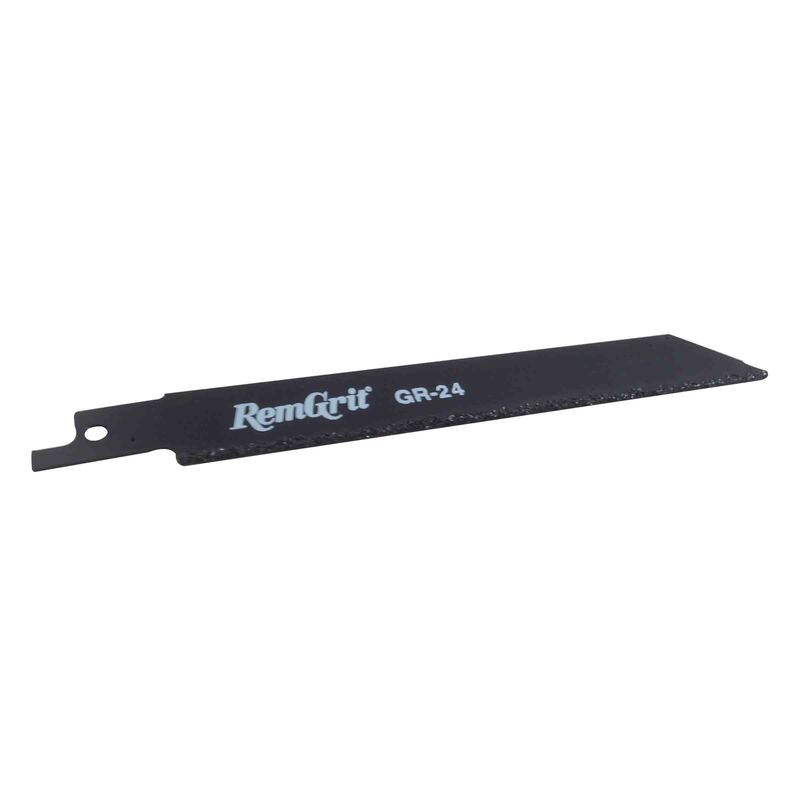 RemGrit® accessories have no teeth to dull or chip and offer incredible resistance to heat.